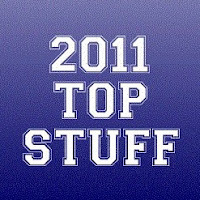 Due to overwhelming popular demand (not really), I've put together a YouTube and Spotify playlist for our writer compiled "albums of 2011" poll. Find the list in full below along with the aforementioned playlists at the bottom of the page. A mighty fine way to spend a couple of hours, me thinks. Listen to the playlist on Spotify or YouTube.